September 21 2018. The forecast for Sunday is still holding. It looks like sunny and low 60’s with winds around 7 mph range. The scattered thunderstorms predicted for earlier in the week never dropped any rain so footing should be excellent. We should have very good conditions for some terrific races at Delaware Park in Buffalo this coming Sunday, September 23rd. Let us consider Age Division races from 40-44 on up and then consider the Team Contests. David Angell should win the division handily. And that is just about the only easy prediction. He has won the overall Masters Championships this year at the 8K and the 5K in 25:39 and 15:45 and finished 4th overall at the Club XC Championships in Lexington and the USATF XC Nationals in Tallahassee this year. After that it is muddy with a ton of very fast runners. Josh Harter, Juan Martinez, Tim Rieth, Eric Sambolec, Michael Selig, and Shawn Williams all have a serious shot at a podium finish. Rieth ran a 4:51 at the 1 Mile Championships, finishing 4th in the division and besting Harter by 8 seconds; Rieth also has a 36:11 10K to his credit. 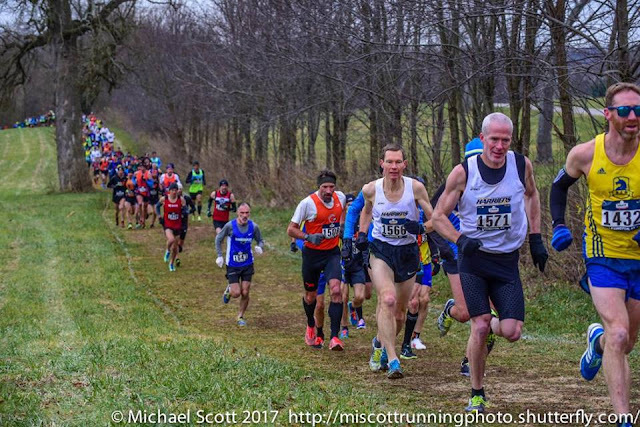 Selig has run 17:19 to 17:32 5Ks recently and ran 17:39 at the 1st race in the Pete Glavin XC series, besting Sambolec, who mostly runs trail, mountain and snowshoe races, by 9 seconds, with Harter another 3 seconds back. Williams has a recent 17:19 5K and a 43:02 12K to his credit, as well as a 17:59 in the USATF-NJ XC Championships. The 12K time is age grade equivalent to a 35:37 10K. Martinez is new to the Masters game. He ran 1:15:34 in the UA NYC Half Marathon in 2017 but could ‘only’ manage a 1:17:44 this year. He also ran a 36:11 in the BAA 10K this year and has run 5K’s in the low 17 minute-plus range. Heather Webster finished 4th overall and in this division at the 2016 Club XC Championships. More recently she ran 39:52 to finish 6th overall and 3rd in the division at the 10K Championships. The only puzzling thing is two 5Ks run this summer where she clocked 30 minute plus. I m guessing she was, perhaps running with a friend or relative but it is puzzling. My guess is that she is ready to run her usual race and should take 1st. After Webster, Liz Gottlieb, Murphee Hayes, Sunday Patterson, and Kathy Wiegand will contest for the remaining podium spots. Gottlieb had the edge over Wiegand and Patterson at the recent 5K in Atlanta. I would have thought Hayes should be favored for her 19:44 at the 5K in Syracuse, but Wiegand beat her by a half minute in that race. 45-49 The preview for the overall race should hold for this division also. Kevin Castille is a strong favorite. Philippe Rolly and Jonathan Frieder should battle for the other two podium spots. Kirt Komocki will try to break up their party. He ran a 16:39 5K and a 35:02 10K this summer. Sonja Friend-Uhl and Abby Dean should take 1-2 in the division. At the Cross Country National Championships in Tallahassee, Friend-Uhl finished almost 2 minutes ahead of Dean, but Dean is currently carrying a higher level of fitness as she was less than a half minute back at the recent 5K Championships in Atlanta. Caroline Bucci, Olga Huber, Alexandra Newman, Cecilia Regan, and Melissa Senall will contest for the final podium spot. Bucci edged Newman by 11 seconds at Club XC last December. Senall came in 24 seconds ahead of Bucci at the 10K Championship this past April. But Regan came in over a half minute ahead of them. Huber focuses more on trail running and snow-shoeing but ran 23:14 in the 2017 5K at Syracuse when she finished 5th in the division. 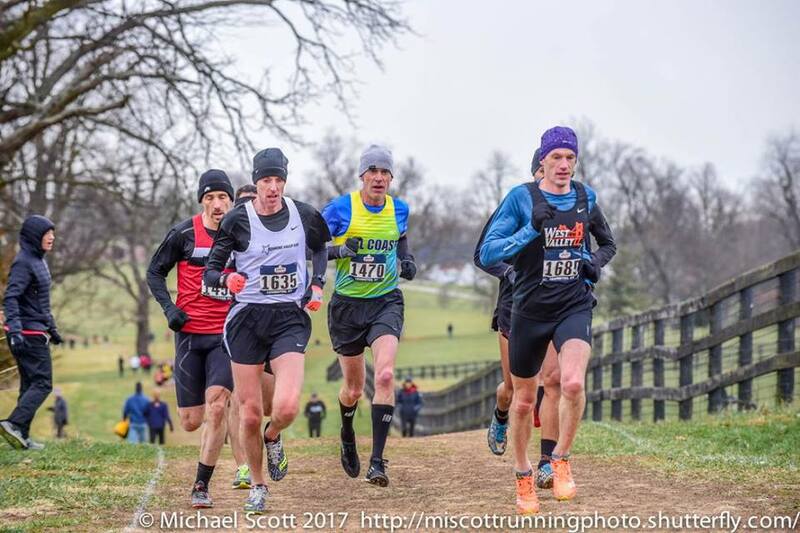 50-54 Tim Van Orden finished 7th in the 45-49 division at the 2016 Club XC in 34:23. Francis Burdett was well back that year but was hampered by injury. He is close to the top of his game now and finished 5th in Atlanta in 17:00, a half minute ahead of Adam Engst who will also be vying for the podium. Mike Nier would ordinarily be right with Burdett, and perhaps ahead, but has struggled a bit recently with a recalcitrant hamstring. Chuck Novak is coming back from his Gold Medal effort at the WMA Championships in Spain. He finished 2nd overall at the 1 Mile Championships in August and has run 5Ks in the 16:40 – 17:25 range. Jim Park also has 5K’s in that range. Brad Kelley has a 17:26 at the Percy Sutton Harlem 5K and a 35:37 at the Queens 10K. His teammate, Mark Lindrud was a few seconds back in both. Tim Harte has a 57:43 effort at the Blue Cross Broad Street 10 Mile Run. Katherine Wolski finished 2nd in 18:55 at the 5K Championships in Atlanta; that makes her the favorite. 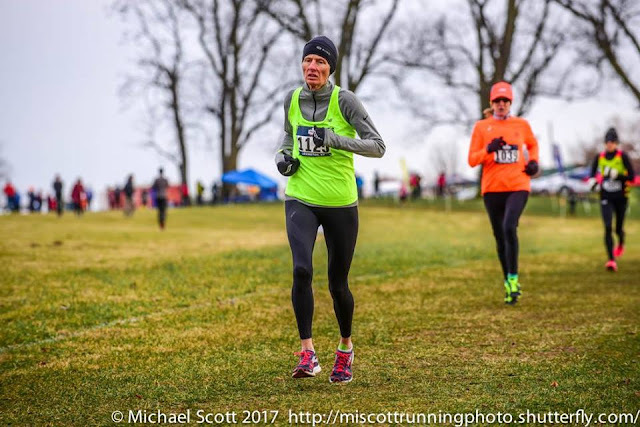 Amy Fakterowiz finished 2nd at the 1Mi Masters Championship in Flint, has run 5K’s in the 19:56 to 20:30 range, and just ran 21:00 at the first race in the Pete Gavin XC series. Julie Deery clocked 1:09:17 at the Blue Cross Broad street 10 Mile run, which is age-grade equivalent to a low 20’s 5K. Kris Huff just took 3rd in the 5K Championships in Atlanta in 21:19. She will be right there pressing those three. 55-59 Ordinarily this would look like a 3-way battle between Casey Carlstrom, Alan Evans and Jonathan Kline. Carlstrom beat Kline by a single second in 17:22 at the 5K in Syracuse in 2017. Evans did not compete in that event but had run 17:18 the year before, when Carlstrom ran 16:59. But at the recent first race in the Pete Glavin Cross Country series, Carlstrom ran 19:10 to Evans’s 17:58, suggesting Cartlstrom may not be at his best. It still seems likely that those three are the ones to beat, although Stephen Crelli and Daniel Mazo may break onto the podium. Crelli clocked 1:03:47 in the Cherry Blossom 10 Mile this year and Mazo has a few 5ks in the low to mid 18’s. After a hiccup in Atlanta, Marisa Sutera Strange was back on her game in Flint. If so, she is certainly the favorite based on her many wins in the 50-54 age group in the last few years. Suzanne Cordes, Lorraine Jasper, Mary Swan and Karyl Sargent should compete for the remaining podium positions. Sargent had the advantage over Jasper by a couple of minutes this year at the 10K in Dedham, but Jasper was a couple of minutes slower than her 2017 performance. Jasper has been focusing on the track recently and is just back from Spain. She should give Sargent a better run for her money in this race. Swan came in two seconds ahead of Sargent in Dedham but was almost a minute back from Jasper and Sargent at Club XC last December. 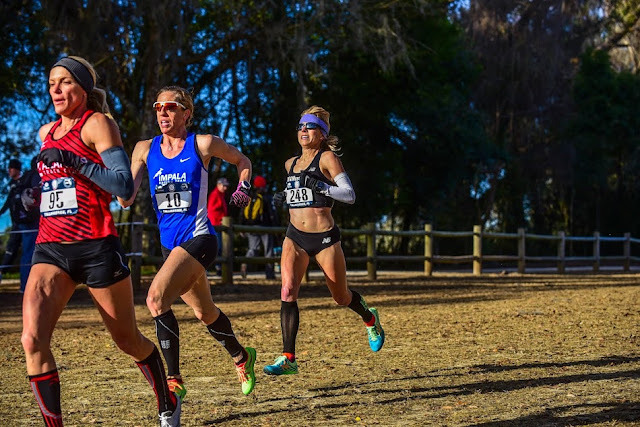 Cordes was almost two minutes back from Jasper and Sargent at Club XC in Lexington last December but has been running stronger recently; she finished 4th at the 5K in Atlanta in 20:56, one second ahead of Swan. 60-64 As the earlier preview on race championships made clear, this division is likely to be a dogfight between several contenders. It looks like once the dust settles that Brian Nelson is likely to finish on top of the pile. He had a half minute edge over Mike Anderson in Atlanta, with Anderson having 7 seconds on Reno Stirrat. Eleven seconds later came Timothy Riccardi followed closely by Steve Brumwell and Mark Rybinski. Even though Cross Country races differ from Road Races, there seems no clear basis for suggesting a different order from Atlanta. Five of the 6 competitors in this division met last year in Lexington at Club XC. Patricia Ford took the honors at that race in 28:40, 15 seconds ahead of Sharon Moore. A minute later, Sharon Ames came across the finished line, followed closely by Susan Stirrat and Cheryl Guth. The remaining runner, Ruth Rainero, ran Club XC the year before, finishing 10 seconds ahead of Moore, but Moore is running better these days, finishing 3rd in Atlanta in 24:33 last month. Still, Rainero ran a 23:47 and a 24:48 5K earlier this year. 65-69 Kirk Larson won his first National Championship last month at the 5K in Atlanta in 20:10. He will have to get used to having a target on his back as he is the favorite to make it two this coming weekend. Frank Gioia was almost a minute back in 3rd. Butch Caimano has run 5K’s from the low 21’s to the low 22 minute range, David Bowen, Doc Rappole, and Hank Schiffman have all run 5Ks in the low to mid 22 minute range. 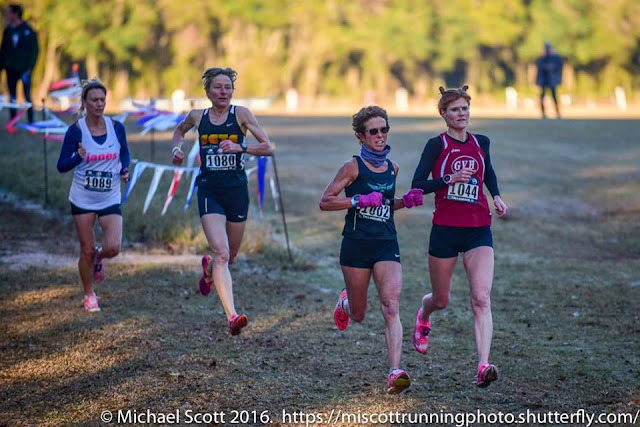 Sabra Harvey, the 2017 USATF Masters Runner of the Year, returning from the WMA Championships in Spain with 2 gold and 3 silver medals, is the overwhelming favorite to take this championship. If the results of last December’s Club XC Championships are a good indicator, GVH teammates, Cindy Ingalls and Jeanne Herrick should come in 2nd and 3rd. First is an easy pick here. Gene Dykes has been demolishing his opposition all year since celebrating his birthday by running a sub-3 hour Marathon in Rotterdam a few days later. Among other things he has won the 10K Championship in 39:02, the Half Marathon Championship in 1:26:33 and the 5K Championship in 19:20. And just for good measure recently won his division at the Cayuga Trails 50 Mile Trail Run in 12:22:36. Nothing seems to phase him. After that it gets more complicated with the other likely contenders Lloyd Hansen, Rick Katz, and Terry McCluskey. Dave Glass and Jerry Learned will be right up there as well. Hansen has been improving each month; he finished 2nd to Dykes at the HM Championship in 1:32:33 and the 5K in 20:45. He is just back from Spain where he won a Bronze Medal in the World Masters Athletics Championships Half Marathon on a hot, humid day. McCluskey has been a few steps behind his teammate, Hansen, finishing 3rd at the HM in 1:32:46 and in 4th at the 5K where he clocked 21:54. Katz finished 3rd at Club XC in the 65-69 division so he is great on the turf. Learned and Glass finished within a half-minute of Katz in that race, so are not that far off. Learned beat McCluskey at the 5K by about 20 seconds but then McCluskey came back and nipped Learned at the finish line in the 1 Mile Championship. Glass was only 9 seconds behind McCluskey at the 5K but had an off day for the 1 Mile, finishing over 20 seconds back. Terry Foody finished 2nd to Harvey in 65-69 at the Cross Country Nationals title at Tallahassee earlier this year in 39:29. None of her rivals ran that race. Her strongest competition may come from Deborah Bliss who finished 2nd in the USA Age Group Triathlon Championships this year. She also ran a 59:33 10K in April. Leslie Brass who ran 5Ks in the 29:48 to 33:30 range a few years ago, is probably the favorite to finish off the podium. 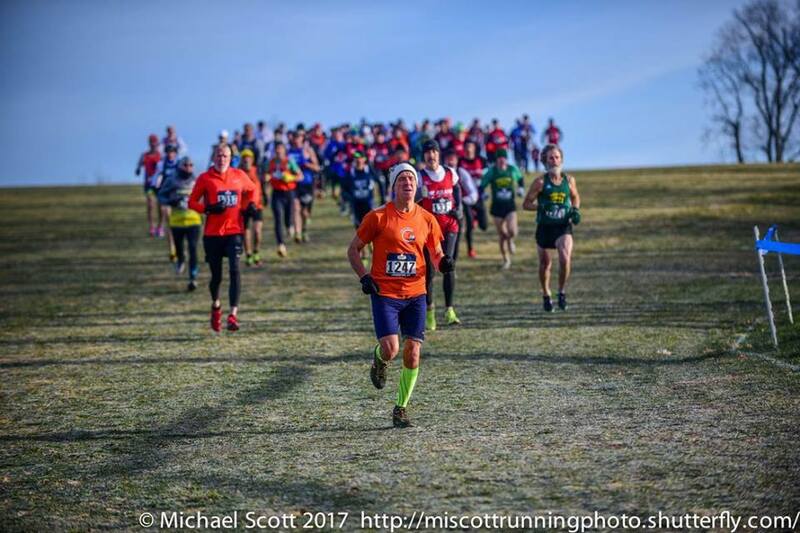 75-79 Since regaining much of his former fitness, Doug Goodhue, many times age division runner of the year, has again dominated the age division. He won the 5K in Atlanta last month in 22:30. His main rival, Robert Hendrick may still be in Europe after competing in the WMA Championships. In any case he is not competing in Buffalo. In his absence, Jim Assal, Hal Lieberman, and Ron Mastin should have a tight race to sort out the remaining podium spots. Assal ran a 25:23 5K and a 6:38:50 1500 M on the track. Lieberman ran a couple of 28 minute plus 5K XC races last fall and has run miles from 7:19 to 7:54 this summer. Mastin ran 7:22 at the 1 Mile Championships in Flint. Catherine Radle and Madeline Bost will renew their rivalry; Radle took the honors at the 5K in Atlanta last month. 80-84 John Elliott captured the 2016 Club XC Championship and, more recently, has run a 29:13 5K and a 49:20 8K. Joe Cordero has run 33-35 minute 5Ks. Tami Graf won the 5K in Atlanta in 38:37. Th elast time Graf and her rival, Edna Hyer met, Graf took the honors by a few minutes. 85-89 Eric Sieff is unopposed and will take the championship when he finishes the race. Women. Sonja Friend-Uhl and Jill Braley are a strong 1-2 punch in the team competition and Kathy Wiegand should not be far back for Atlanta. That should be enough for them to take the win. GVH and the Greater Philadelphia Track Club are closely matched. If Heather Webster and Murphee Hayes run their strongest they could lead GVH to a 2nd place finish. But Greater Philly may be able to bring all 3 of their runners in before GVH’s 3rd runner comes in. The Impala Racing Team is strong but not as strong as the other three. Men. The Central Park Track Club and GVH should battle it out for the win. If Adam Engst, Alan Evans, and Mike Nier are on their game, GVH should eke out a win. But CPTC’s trio of David Dorsey, Brad Kelley, and Mark Lindrud should make it tough. If the top 3 of either team has an off day, Dale Flanders is probably a bit faster for GVH than the 4th runner for CPTC. Checkers AC and the Greater Philadelphia Track Club are the main contenders for the final podium spot, with Checkers a slight favorite. Women. If Marisa Sutera Strange, Lorraine Jasper, and Mary Swan run their usual races, the Athena Track Club should win handily. On paper, the top 3 for the Syracuse Track Club, Karyl Sargent, Patricia Ford, and Sharon Ames, have a slight edge on the GVH top 3, Beth Ann DeCiantis, Bonnie Lindblom, and Maureen Bischoff. One thing that might play in GVH’s favor is that they have a 4th runner, Colleen Magnussen, not far behind those top 3. If any of Syracuse’s top 3 have an off day, there is no one to step up. Checkers AC and Atlanta appear headed for off-podium finishes. Men. The Hartford Track Club’s Russell Blatt, George Buchanan, and John Matthews need good outings; if they get them Hartford, should win the division. It will not be easy though. Cal Coast is the team most likely to press them for the win. Their 3-runner team of Brian Nelson, Steve Brumwell, and Keith Witthauer cannot afford a let-down either; all three need to run their best. GVH and Shore AC will duke it out for the final podium spot if there are no off days among the runners of Hartford and Cal Coast. GVH’s Tim Riccardi, Mark Rybinski and Kevin Clinefelter appear to have a slight edge over Shore’s Reno Stirrat, Kevin Dollard, and Scott Linnell. GVH and Shore both have an additional runner or two if any of their top 3 run into a problem; GVH’s Frank Gioia is the 4th runner closest to #3. Women. The GVH team of Cheryl Guth, Jeanne Herrick, Cindy Ingalls, and Sharon Moore is unopposed and cashes in the win as long as at least three of their team finish the race. The pressure is off. Men. The Ann Arbor Track Club has won the last three Championship races, the Half Marathon, the 5K, and the 1 Mile and they (we, in this case as your author is on this team) are favored for this win as well. Lloyd Hansen, Doug Goodhue and Terry McCluskey have led the way for those wins. I have not been needed but have provided good enough backup that had any of those top 3 been unable to run, AATC would still have won all 3 of those races. That should be the case again on Sunday, but we shall see. Unlike those other races, Hansen will not be finishing first among the team entrants if the Greater Philadelphia Track Club’s Gene Dykes enjoys a typical race. But, unless the AATC runners have serious off days, they should all come in ahead of the next two Greater Philly Track Club runners, and so have a winning score. The Atlanta Track Club and the Genesee Valley Harriers will also push for a podium finish. Atlanta’s hopes rest on Dave Glass and Jerry Learned finishing ahead of all 3 of AATC’s runners except Hansen. Hansen has come in ahead of both of them in the last three races. If he does that again, it is hard, but not impossible, for Atlanta to get the win. But either Sam Benedict or Curtis Walker have to finish closer to those two than has been the case recently. GVH has to rely on Tony Gingello and Jim May leading the way. But May has not run in the last few championship races; that would usually mean he is not at top fitness. May is a very tough runner, often running when hurt. As long as May runs a reasonably strong race, GVH will have the depth needed to see off the challenge from Greater Philly. Atlanta should also have enough depth to withstand the challenge. GVH’s main chance to beat Atlanta requires May to run with Gingello, with both having very good days. Women. The Atlanta Track Club’s team of Leslie Brass, Judy Melton, Catherine Radle, and Carol Rhodes is unopposed. Like their counterparts in Women’s 60+, as soon as the third team member crosses the finish line, Atlanta will be the winner.